From the start, ASUS’ Max branding is all about balancing price, battery life and performance. It’s about providing more value for your hard earned cash by giving consumers what they need – a no frills smartphone with good performance that lasts a long time. Now on its second iteration, the ZenFone 3 Max is back promising just that. Here’s our review of the ASUS ZenFone 3 Max (ZC553KL). Before we proceed, let’s quickly go over the ZenFone 3 Max’s key specs. The phone fronts a 5.5-inch full HD display, an octa-core Snapdragon 430 processor, 3GB of RAM and 32GB of storage. It packs a large 4,100 mAh battery (albeit smaller than last year’s 5,000 mAh) with no fast charging (bummer), and like most phones on this segment, has a fingerprint sensor at the back. The ZF3 Max’s retail package consists of the travel charger, a microUSB cable, a ASUS branded SIM tray removal tool, a pair of headphones and an OTG adapter. Despite the ZF3 Max’s status as a budget or a low mid-range device, the phone looks better than its price suggests. The phone now flaunts a metal body (unlike last year’s metal frame), combined with some plastic and a 2.5D contoured glass. This is actually what gives the Max its premium appeal as the combination give it a sleek modern look. The Max fronts a 2D sloping contoured glass panel. And thanks to the small bezels surrounding it, the phone managed a smaller build. The camera and light sensor flanks the earpiece, and near the bottom of the display are an ASUS staple — the non-lighted capacitive keys for back, home and multitasking. I was hoping for lighted keys or on-screen keys, but seeing as this has been going on in ZenFones for awhile, I’m not holding my breath. On the left is the SIM card tray that fits two SIMs. The other slot being a hybrid one, allowing for an option to instead fit a microSD card. Of course that would mean choosing between another network SIM and expanded storage. But I imagine 32GB would be good enough for most (it’s good enough for me at least). The right houses the volume keys and the power button. The back is where you’ll find the main camera. On its side are the AF laser and the dual LED flash. And just below it is the square-shaped fingerprint sensor. The ZenFone 3 Max has a 5.5-inch full HD display with a 1920 by 1080 resolution and a 401 ppi pixel density (In comparison, an iPhone’s Retina Display has a 401 ppi pixel density). That being said, the display is sharp and shows good detail (the high ppi count helps). Colors come out quite nicely with sufficient brightness, even under direct sunlight. The phone runs on Android 6.0 Marshmallow with ZenUI 3.0 on top. The ZenUI Launcher is fast, has a lot of features and can be customizable using icons you download from the Playstore. The fingerprint scanner is linked to the launcher. Meaning you lose some form of functionality if you install and choose a different launcher. Another thing with ASUS ZenFones are the presence of bloatware. A number of apps and games come with the phone (some are preinstalled, while others install upon boot). It can be easily uninstalled though, but still. The ZenFone 3 Max is powered by a Qualcomm Snapdragon 430 processor, paired with an Adreno 505 GPU and 3GB of RAM. The processor was chosen, I surmise, for its performance, relative to its power efficiency. That being said, I found navigating the phone to be fast and responsive. Animations are smooth, and lag are few and far between. Some apps and games though take awhile to open. But the phone can run most games, even some heavy ones. One problem I encountered is that it wasn’t able to run Mortal Kombat X. I assume it’s more of a compatibility issue rather than hardware. Again, take note that benchmark scores are not indicative of actual real world performance, but it does give you an idea what the hardware is capable of. The ZenFone 3 Max packs a 16MP main camera and an 8MP front camera. The main camera packs a 1/3-inch sensor and a f2.0 lens. It has 2nd gen laser AF, PDAF and continuous AF (collectively branded as ASUS’ TriTech AF system). On the other hand, the 8MP front camera features with a f2.2 aperture lens and a wide 84-degree field of view. It also has a host of software features such as the Beautification Mode, Night Mode and HDR Pro mode. As for the camera performance, the rear camera can take good photos especially if there’s a lot of available light. It can be further improved if you’re willing to dig and experiment with the settings. But on default, images looked good with vibrant colors and sufficient details, which is enough for Facebook and Instagram. Quality though takes a dip when you start losing available light. I noticed some indoor shots were blurry even though I tried hard to stay still. The ZenFone 3 Max has a battery capacity of 4,100 mAh with no fast charging. In comparison, its predecessor (with the same screen size and a slightly older chipset) has 5,000 mAh. While the difference may seem disappointing, it is better than what you get in most phones (even flagships) nowadays. And the battery life? I got around 2 days on a single charge. Usage included calls and text, as well as browsing the web, playing some games and streaming videos. Compared to the first Max (where you can get over 3 days of use), it’s a bit of a let down. But still, it’s better than most and you could probably get more out of it with light usage. Also, expect to wait awhile when charging the phone. It takes almost 2 hours (more or less) to complete (which is a lot better than the first Max of almost 5 hours). 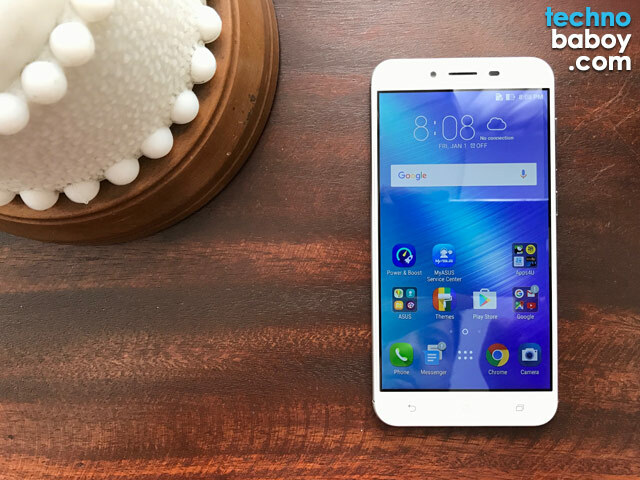 The ZenFone 3 Max is one of the more affordable offerings you’ll find in ASUS’ current ZenFone 3 lineup. It balances performance, price and battery life. And as an added bonus, you get that great feeling aluminum body. The ASUS ZenFone 3 Max retails for PHP 10,990. It is now available in ASUS concept stores and retailers nationwide. Is there anyone who still uses the marshmallow version? any issues? im trying to avoid getting issues by not updating to nougat. Is having the marshmallow version will take me away from issues? Here’s my experience, 2 months use walang issue..
5th month, i had my first issue, nawala yung 4G its not working. No mobile data connection for 2 months. what’s the use of a smartphone that doesn’t have no data connection. Kept it at home… I had to use other phone if I’m going out. I reported to ASUS who is also adding more burden by adding more time to waste. I think the only support they have is ZENTALK? Buti pa yung mga users or other technical na users ng ASUS they are giving better solutions to the issues. Then after 2 months na fix yung 4G… suddenly via an update ata yun… then yung Home, Back and Multitask window buttons hindi gumagana.. So i have to use the one hand operation ng phone para magamit ko. It’s wasting my time. 2 months ulit siguro hintayin ko..
Best thing to do with this Phone, ditch it. NO ASUS LAPTOPS, NO PHONES anymore! Bili ka pa? Good Luck!